Voodoo Tiki Tequila's resident Registered Dietitian and Master Mixologist have conjured up some low calorie concoctions for Cinco de Mayo. "Most people are used to the "on again- off again" way of life. Healthy Living, however is a lifestyle. You don't have to avoid certain holidays because you are adapting a more healthy lifestyle, you just have to know how to make a few modifications. " says ... more. New Brunswick’s first Gastro Pub, George Street Ale House, has added Ultra-Premium Voodoo Tiki Tequila to their full Bar, enhancing their Mixologists prohibition inspired drink list. They are now offering the 100% Blue Agave, craft, single barrel Platinum Silver Voodoo Tiki Tequila. Voodoo Tiki Platinum Tequila maintains the herbal sweet taste of the mature agave with a light pear finish. C... more. Since 1955 Crazy Billy’s has been offering a remarkable selection of wine and spirits, complemented by outstanding knowledge and memorable customer service. Crazy Billy and his crew have the expertise and reliability to recommend the perfect bottle that will satisfy your palate. Looking for the finest quality Tequila? 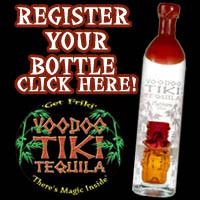 Sensational spirits such as Voodoo Tiki Tequila, 100% agave- single barrel... more. SOL Mexican Cantina, Now serving Voodoo Tiki Tequila to Branchburg, New Jersey. West Branchburg, New Jersey hot spot, Sol Mexican Cantina, has added Ultra-Premium Voodoo Tiki Tequila to their expansive Drink menu. Sol is offering the full collection of craft, single barrel Voodoo Tiki Tequila: Platinum Silver, Anejo, Reposado, as well as Voodoo Tiki Tequila’s award winning infused tequilas, Desert Rose Prickly Pear and Blue Dragon Blue Raspberry & Kiwi– all 100% Blu... more. Cool Vines is a connoisseur of the wines from around the world, but they are more than just a store: Offering wine-tastings, wine dinners, wine classes, and selection assistance. Spice up your next tasting or dinner with award winning and crowd pleasing Prickly Pear Margaritas. This ultimate mix is made exclusively with ultra-premium Voodoo Tiki Tequila’s Desert Rose Prickly Pear, made with ... more. 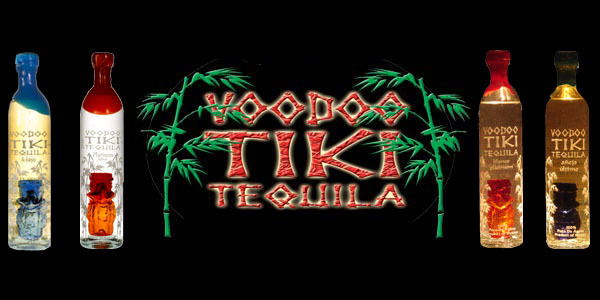 Kohler Distributing Company, a family grown and operated business, is proud to announce their partnership with the finest ultra-premium tequila makers, Voodoo Tiki Tequila. Kohler is offering the highly demanded collection of craft, single barrel Voodoo Tiki Tequila: Platinum Silver, Anejo, Reposado, as well as Voodoo Tiki Tequila’s award winning infused tequilas, Desert Rose Prickly... more. A study conducted by Harvard University has concluded that women in their 50's, who enjoy a glass or two of alcohol a day, are more likely to be more healthy, than those who are do not drink or drink to excess. Research has shown their minds are sharper, their bodies are fitter and that they are in better mental health. The Harvard University researchers took information on how much 120,000 fem... more. A new study from Spain has concluded the association between alcohol consumption and body weight may appear only with heavier drinkers, but light-to-moderate consumption may actually protect against weight gain. The researchers have concluded that "the type of alcoholic beverage might play an important role in modifying the effect of alcohol consumption on weight gain," with more favorable ... more. 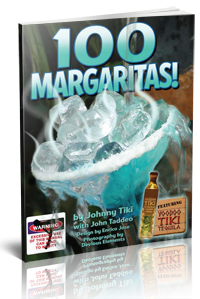 The tribe over at Voodoo Tiki Tequila along with their resident Registered Dietitian and Master Mixologists have been hard at work in the lab creating concoctions for the calorie savvy. Is it so ironic that a Registered and Licensed Dietitian who assisted in the creation of an award winning Diet website is now the President of a tequila company? "Everything in moderation including moderati... more.